What Pug doesn’t love Michael Kors? 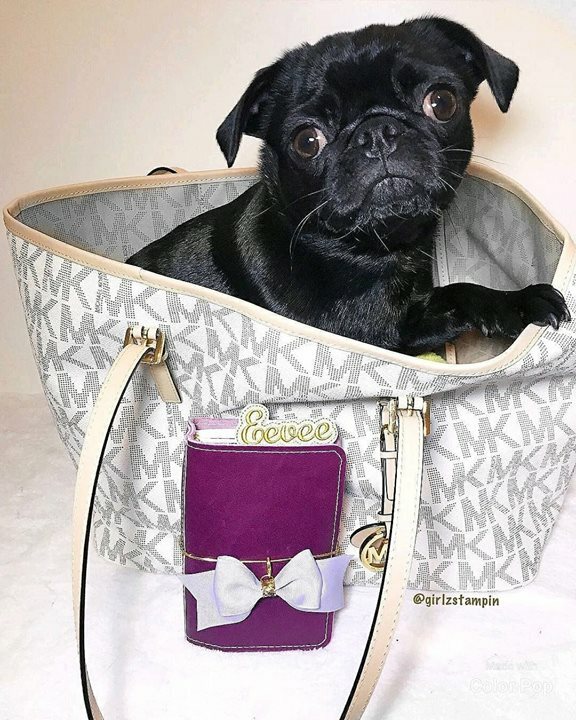 Michael Kors makes every Pug look fabulous! Here, Eevee the Pug is modeling her beloved Kors tote she got for her birthday. Eevee says that she feels naked without her tote. She says that the tote completes the woman. We don’t necessarily disagree and who can argue with these eyes? Is Eevee right? Does the tote complete any woman? The real question is, what’s in your tote? If the answer is a cute black Pug, then you’re on the right track! Of course, Michael Kors is wonderful, but we also have a place in our hearts for Chanel. A Pug can dream, can’t she? Girlzstampin for taking this pawsome photo! Check out her handmade, adorable, Etsy collection. It’s seriously cute! And we must thank the unstoppable cuteness of @eevee_the_pug on Instagram – go follow her! 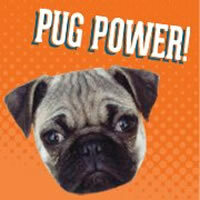 We love cute Pug photos! Drop us a line at this link any time.